The best companies, large or small don't stand still. They're flexible and innovate. This channel links to posts showing how companies can approach innovation by following the latest trends in digital marketing technologies and techniques. 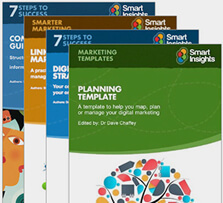 See Dave's in-depth post covering digital marketing trends for 2015.